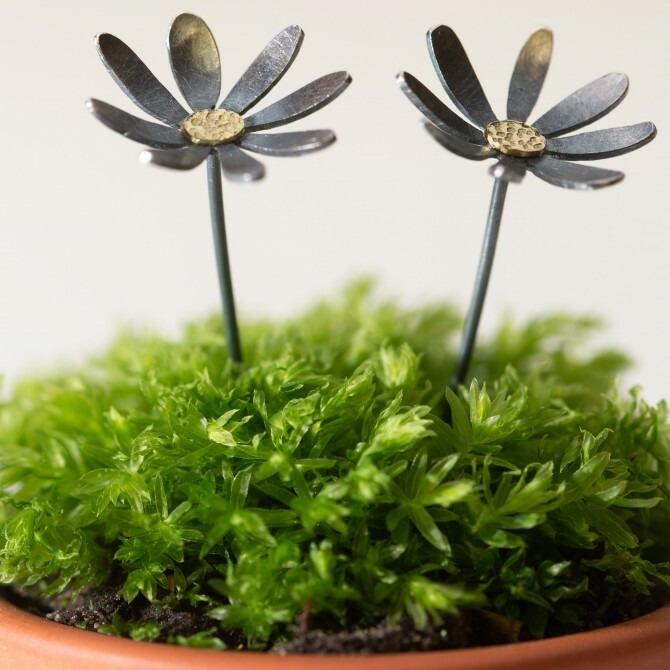 These handmade silver earrings feature hand cut and delicately shaped silver daisies on stems. 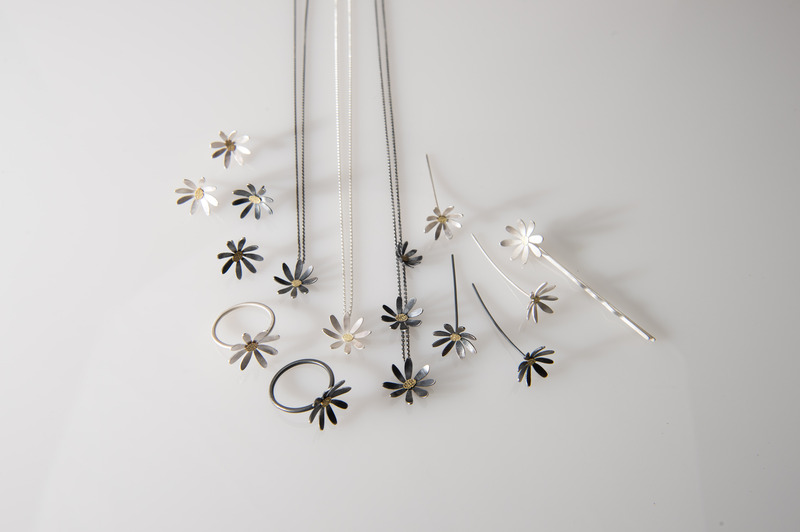 Daisies evoke childhood memories of making daisy chains. 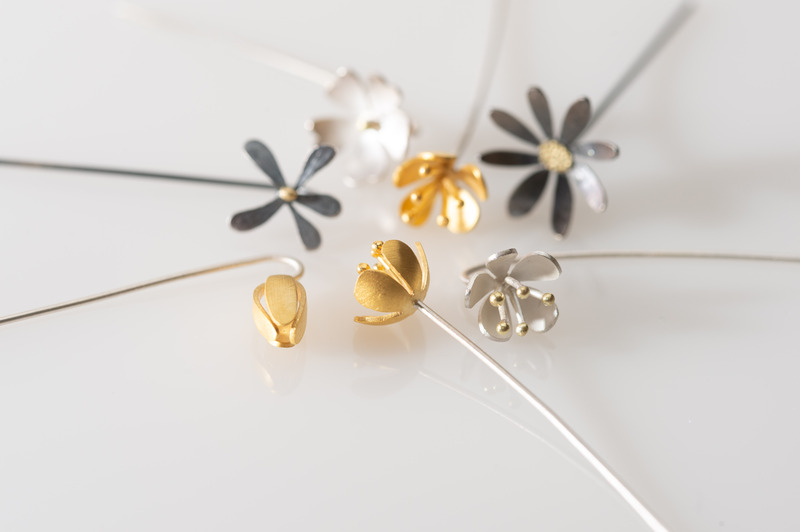 The daisy symbolises loyal love, innocence and purity. 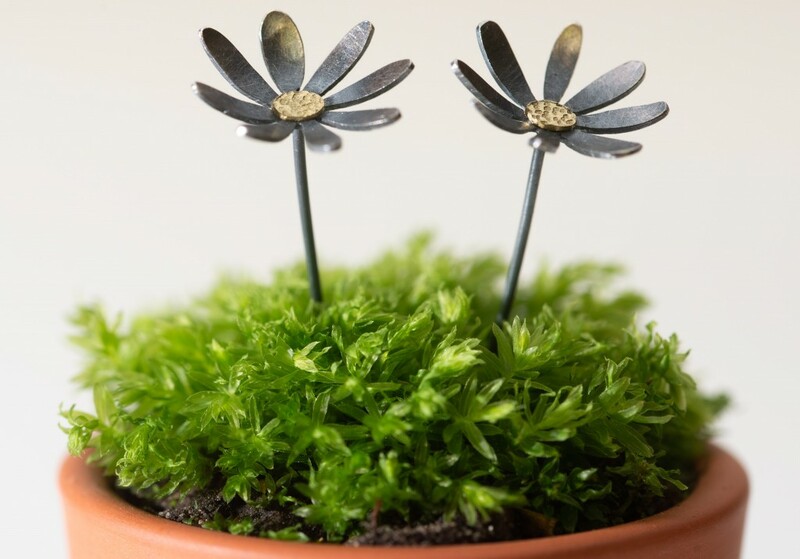 These daisy earrings have a contemporary brushed matt silver finish with slightly polished edges on the petals and hand punched dotted brass centres. Each daisy measures 15mm across. The earrings are distinctive because of the long silver stems which thread through the ear lobe and are visible hanging behind the ear. 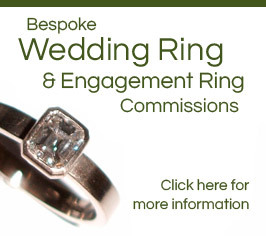 The earrings come with silver scrolls to make them secure . 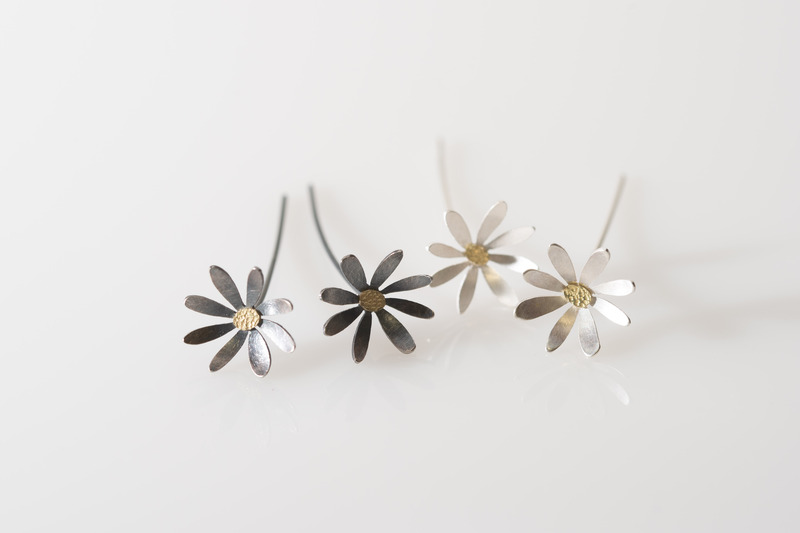 You may find very slight variations in the daisies pictured as each flower is unique and handmade in my workshop.